Pandit Shailendra Pandey is practicing astrology since last 15 years. He is commerce and law graduate and has learned astrology from his family traditions. He practiced as a Criminal lawyer for few years, but was more interested and dedicated in astrology and Para science, so he quit the profession of law and became a student of astrology. He uses and practices astrology as a tool of betterment in human life. Having spiritual, scientific and innovative vision he is working a lot on elemental and remedial astrology. In his predictions he uses combination of astrology, palmistry and numerology for more accuracy. He is also involved in financial and business astrology, interpretation of dreams and Para science. Pt. Shailendra has a specialty in recommendation of gems, stones, mantras & vaastu on the basis of study of elements and vibrations. He never recommends gems and stones only on the basis of lagna and raashi, because it is dangerous and inadequate to meet the problems. Mr. Pandey is a well-known and reputed astrologer throughout the country and partially in globe. He has a wide clientele in India and Abroad. He is a successful astrologer of several television shows of Live India, CNEB, Voice Of India, Total Tv, Hamar TV, ZEE News UP and TEZ. 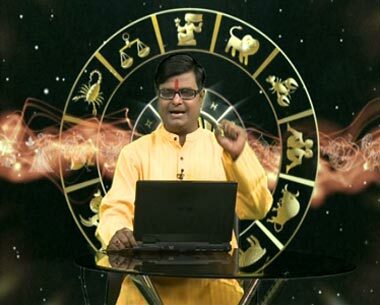 Presently he is working in Zee News UP, Zee News MP , and Zee News Rajasthan’s live astro – spiritual show “Aaradhna”. He is also working in special shows in Tez. He has been a column writer in UP'S leading Hindi news paper Swatantra Chetna and in national news paper “Dainik Bhaskar”. He is now doing research on Vaastu and Astrological Relationship and on effect of Sun Rays. He has established a research centre- "Astrology-Labs", for lifting the veil of false and imagination in astrology and vaastu. Some written works are also about to come from him. He believes that "Astrology is a science of probability and it becomes truth only by the grace of All-Mighty".